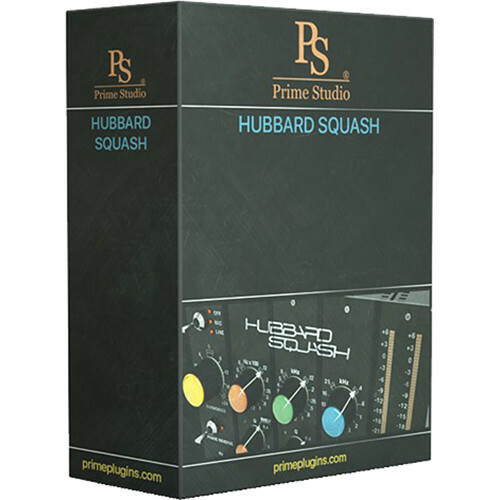 The electronic download of the Hubbard Squash Plug-In Software from Prime Studio provides the flexibility of a rare, fully parametric, three-band equalizer with low-cut filter and phase reverse. It can be used when paired with a Mac or Windows computer and compatible host software to tailor sound for broadcast TV, film, and recording studio applications. In addition, besides functioning as an equalizer, you can use it for coloring your sounds with two different preamp stages: mic and line.